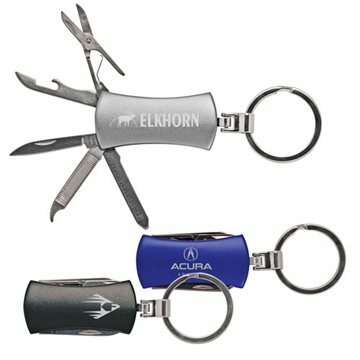 Lightweight aluminum body with anodized finish. 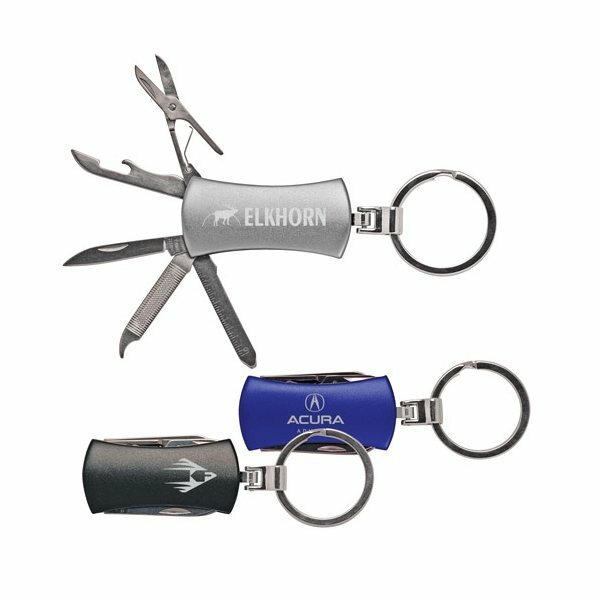 Includes stainless steel knife blade, fold-out opener, nail file/cleaner, scissors, screwdriver/ruler and key-ring. the product is great! We want to re order the same! hopefully we can get the same price! the cost and the ability to put a logo on it. They are great. Ink quality is good. Met my expectations. Individuals who received one felt special.The price was very reasonable.